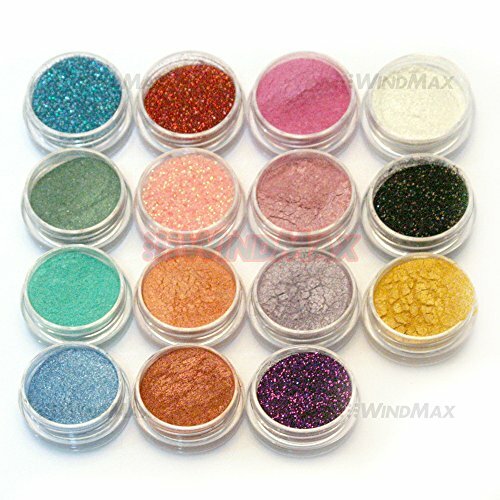 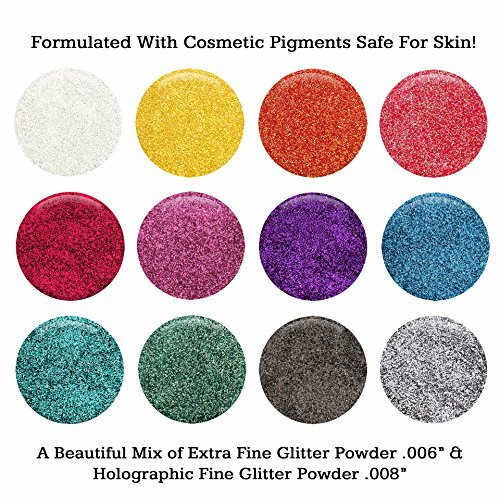 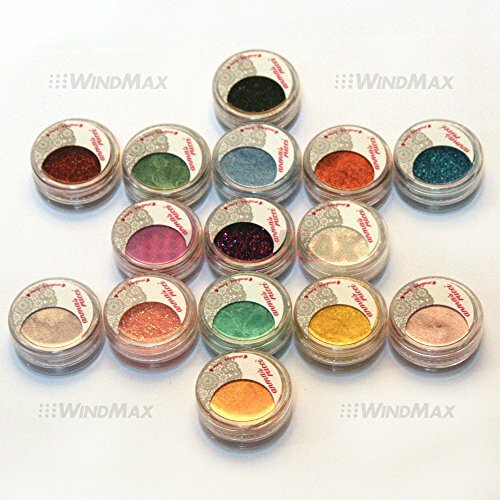 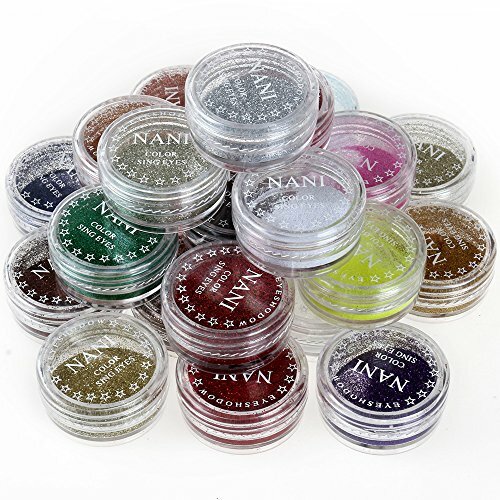 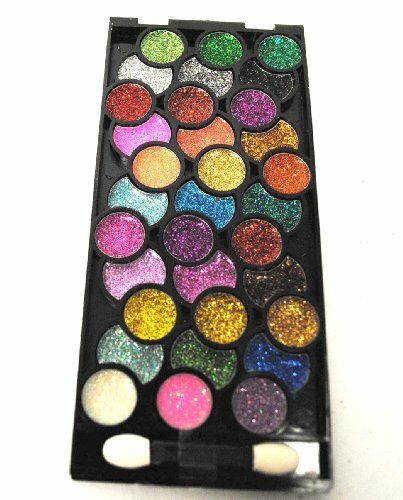 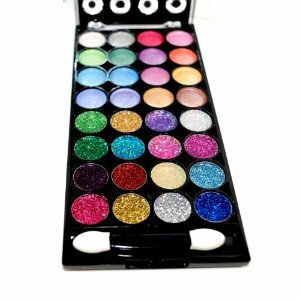 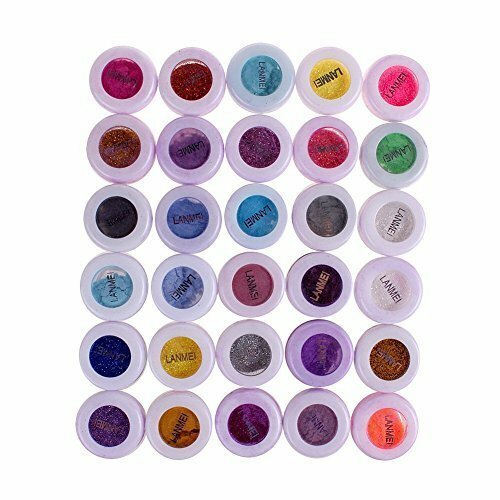 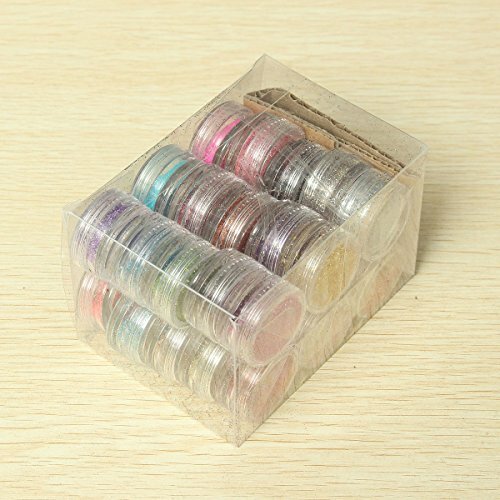 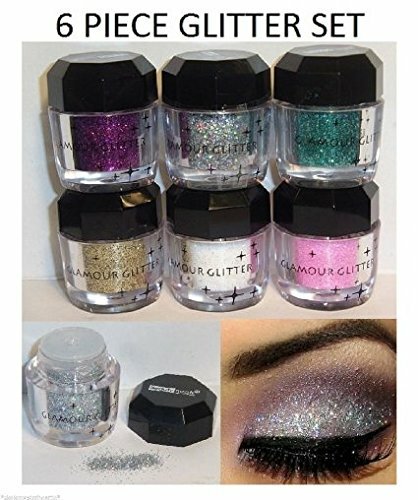 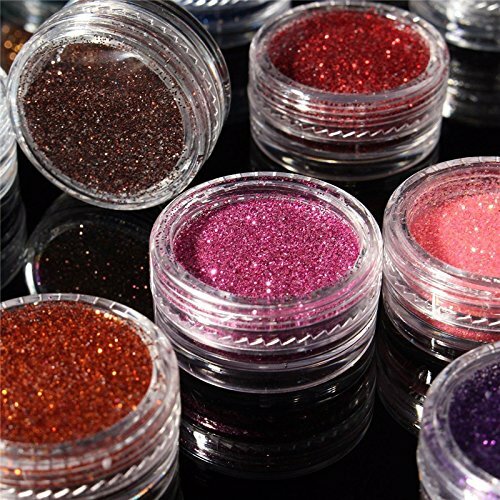 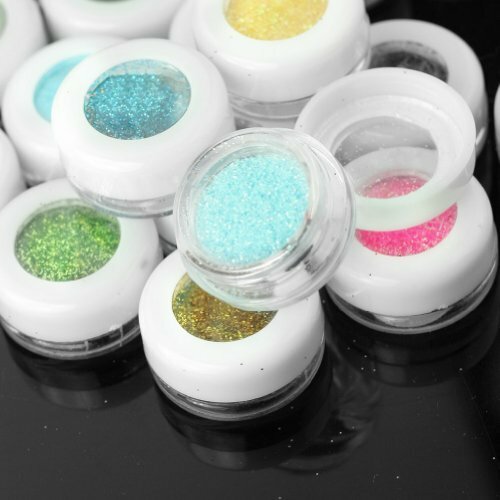 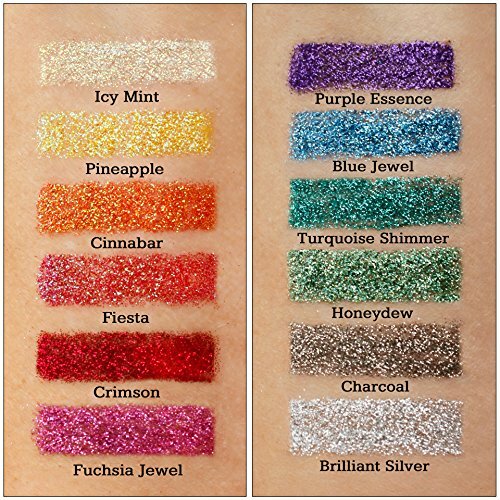 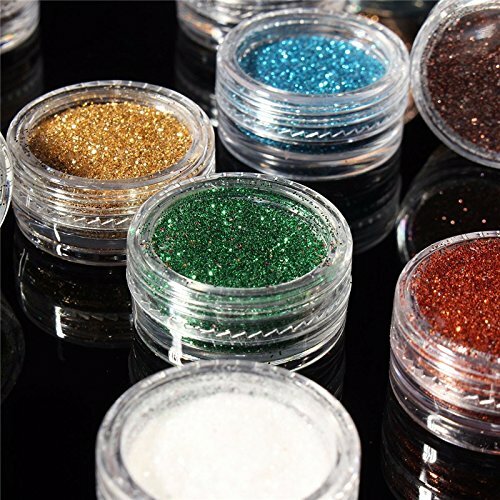 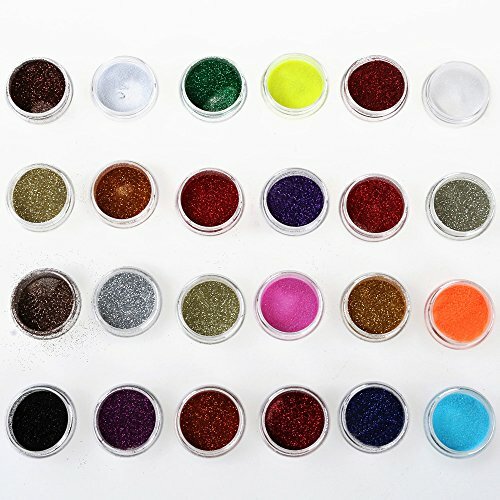 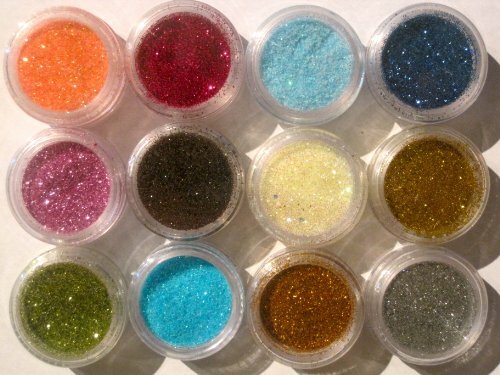 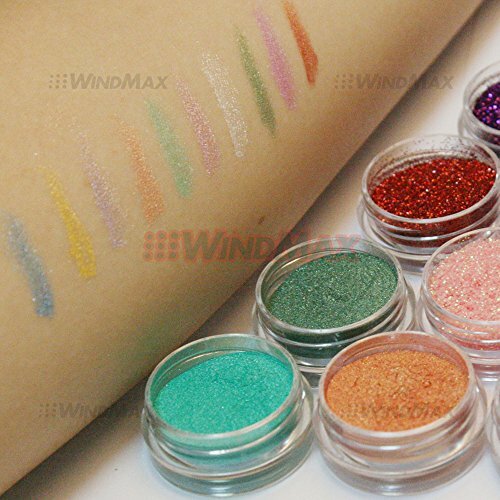 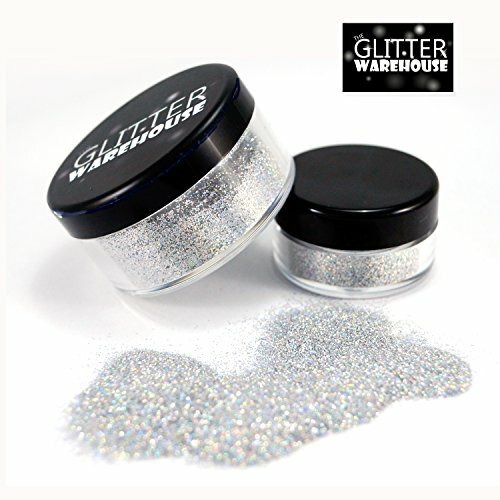 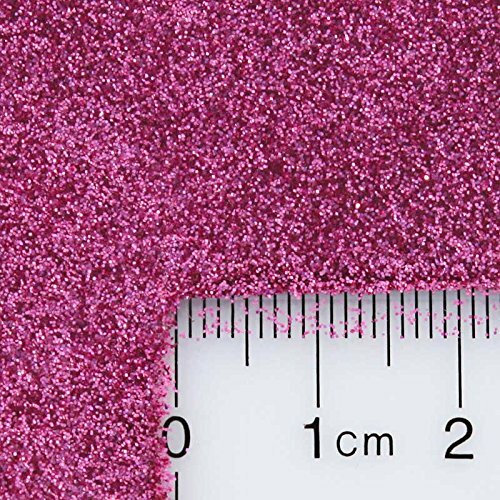 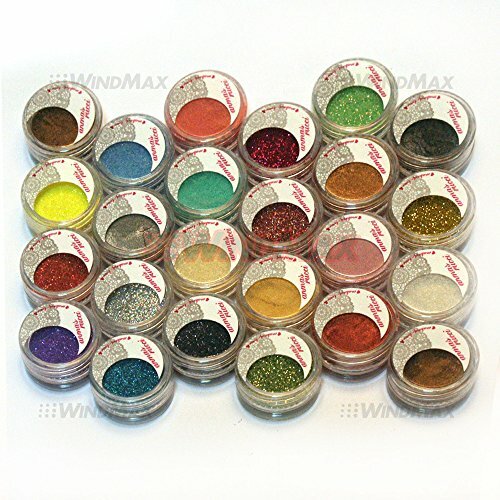 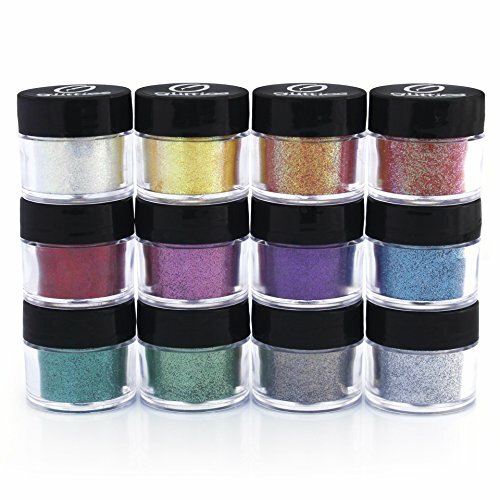 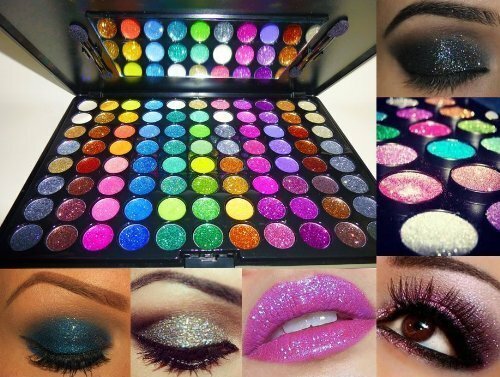 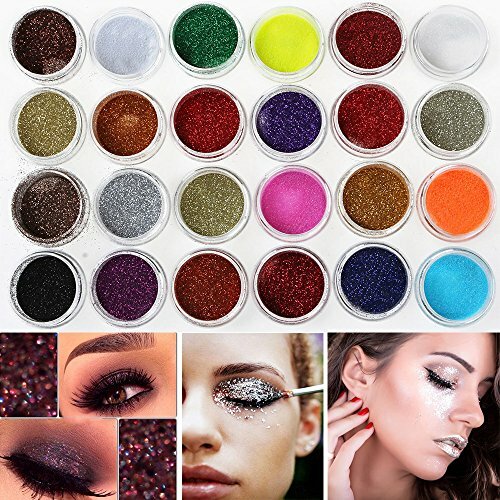 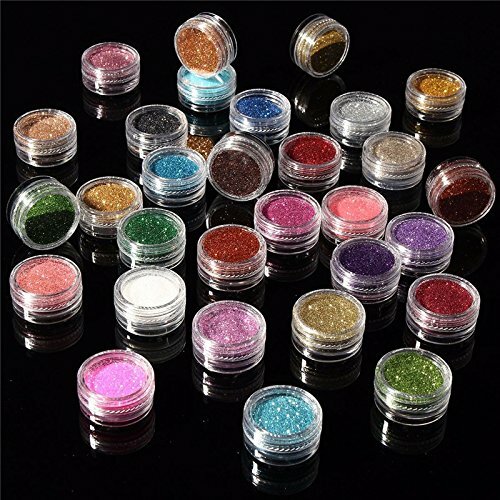 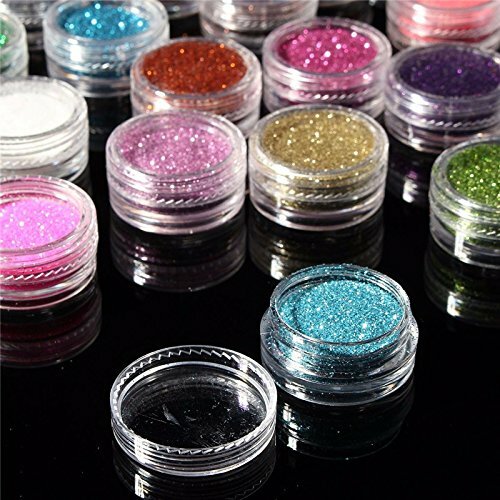 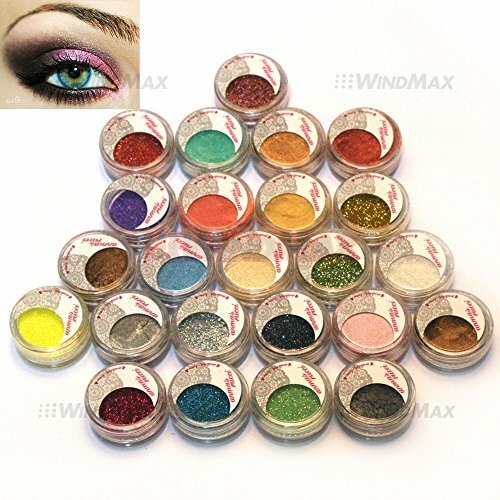 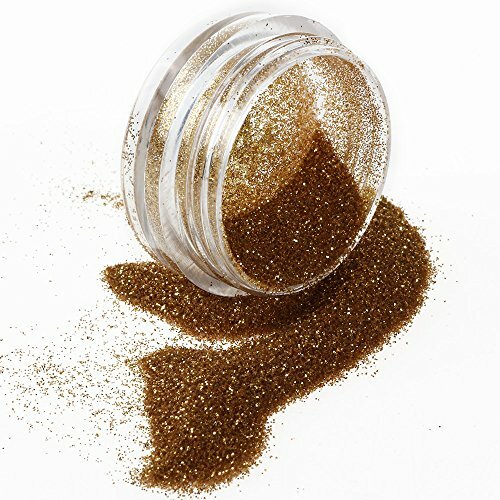 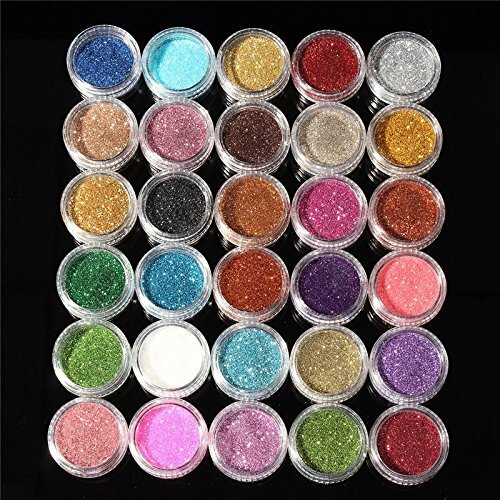 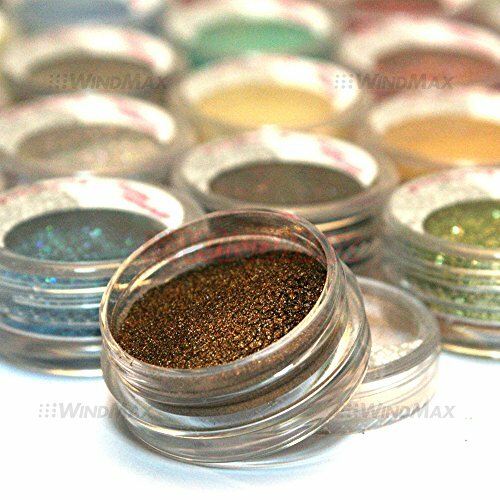 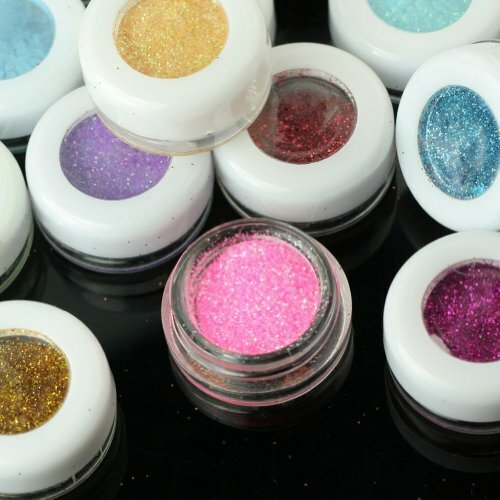 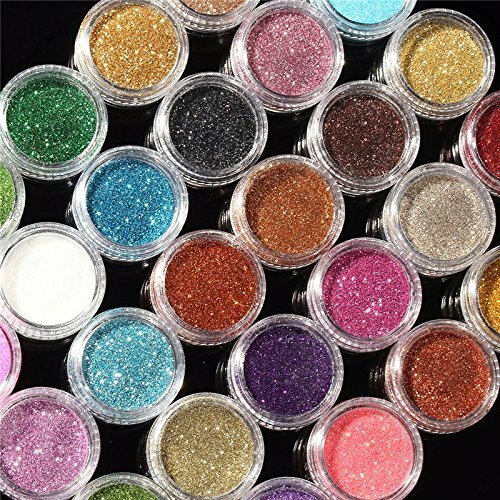 12 Color Glitter Sparkle Powder Nail Art Makeup Body Painting Colors as pictured. 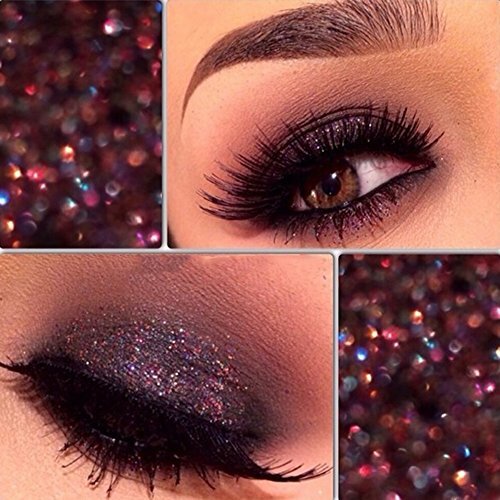 (may slightly defer due to monitor settings). 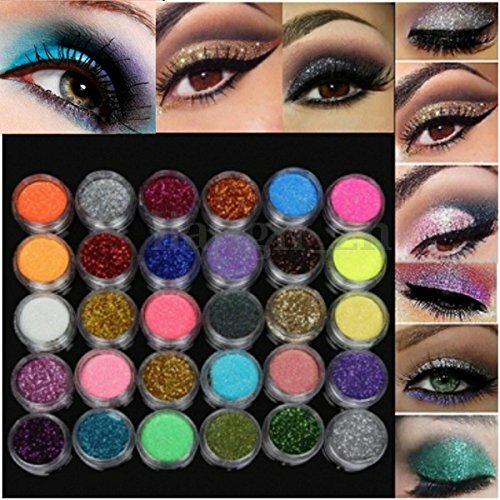 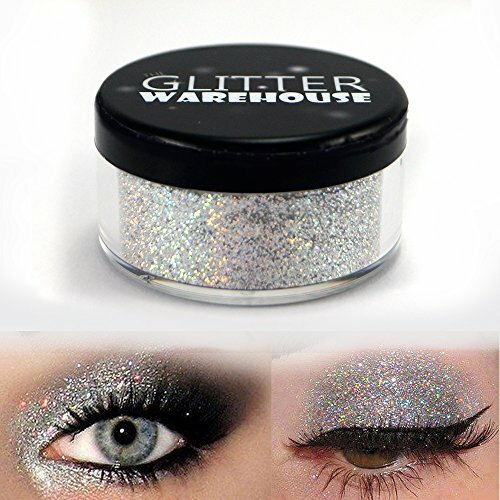 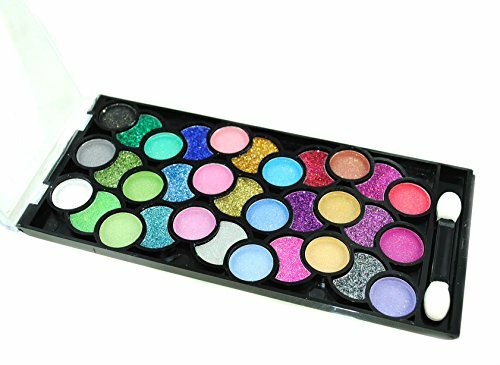 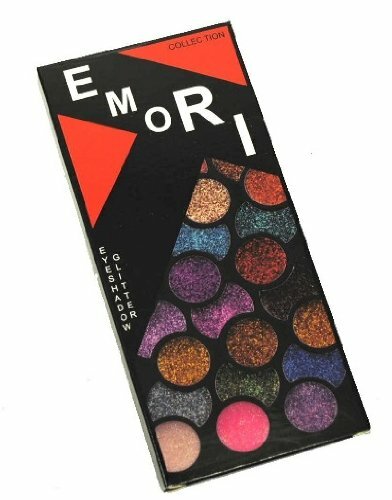 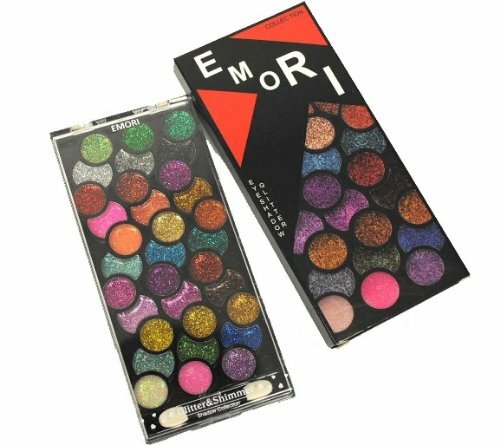 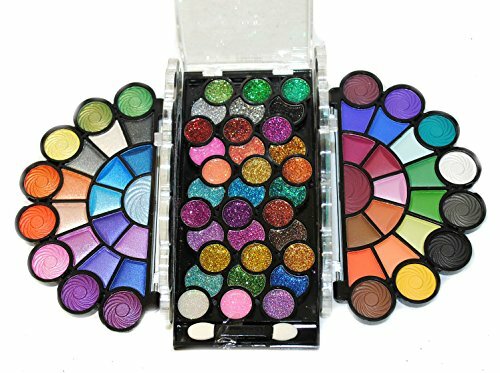 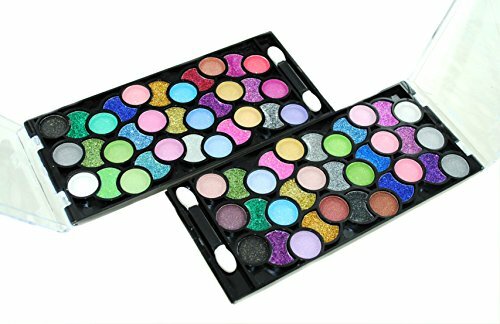 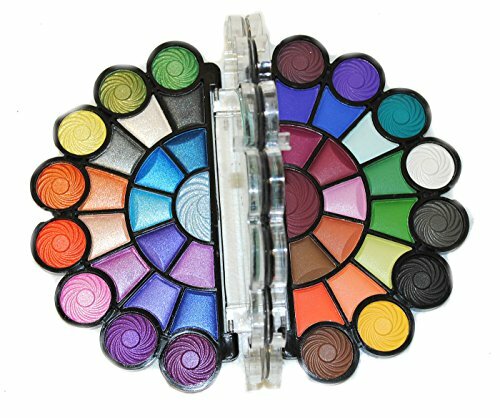 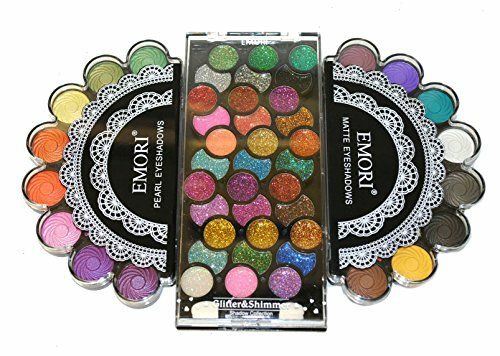 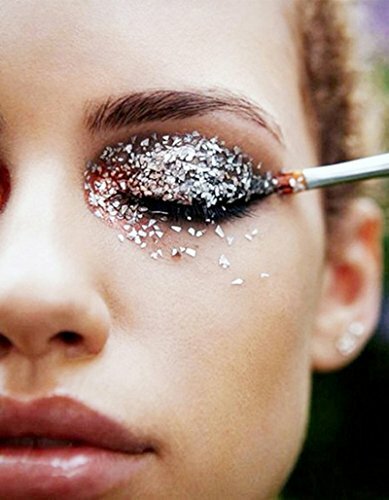 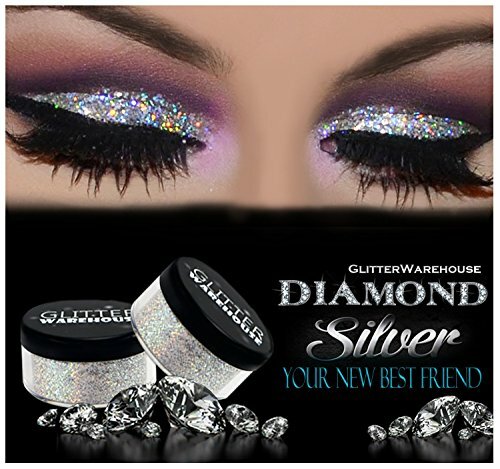 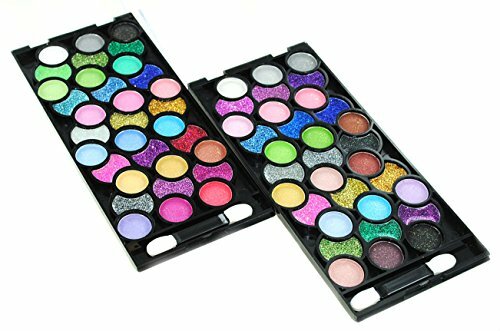 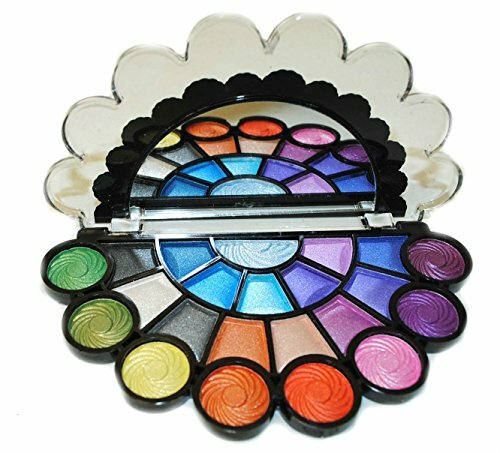 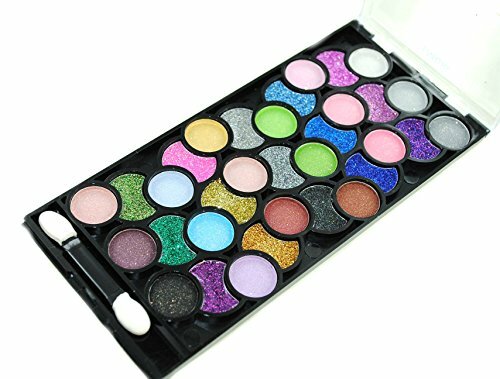 This 32 Eye shadow Markup kit is all you need to bring out the perfect look for your eyes. 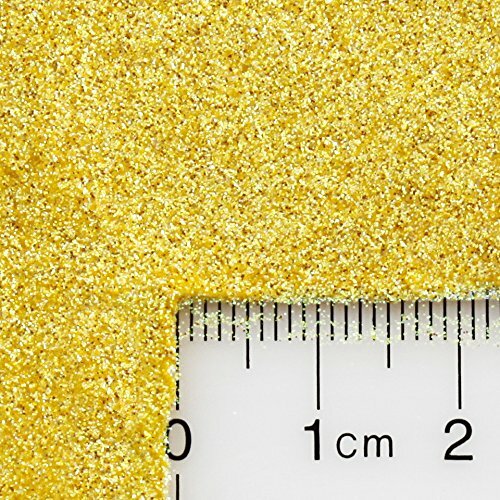 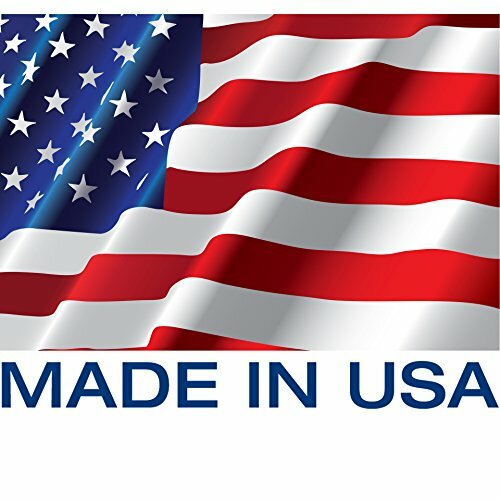 1.13oz. 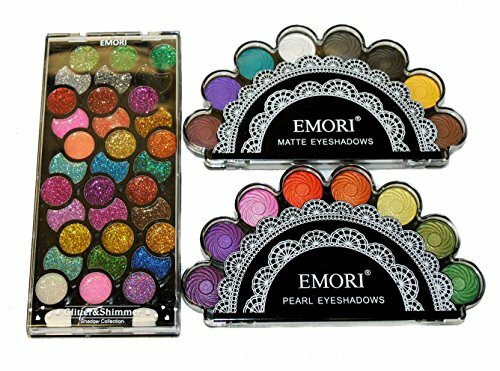 All Colors comes packed in a Black Snap on Pallette Casing. 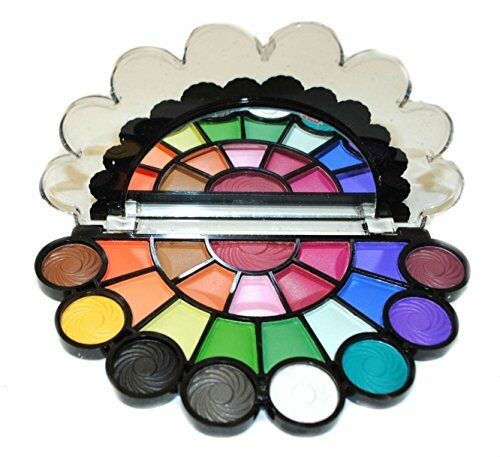 Perfect for any road trip and Daily use.